For over sixty years, conflict between state forces and armed ethnic groups was ongoing in parts of the borderlands of Burma. Ethnic minority communities were subjected to systematic and widespread abuses by an increasingly complex patchwork of armed state and non-state actors. Populations in more remote and disputed border areas typically had little to no access to even basic healthcare and education services. As part of its counter-insurgency campaign, the military state also historically restricted international humanitarian access to civilian populations in unstable border areas. It was in this context that "cross-border aid" to Burma had developed, as an alternative mechanism for channelling assistance to populations denied aid through more conventional systems. Yet by the late 2000s, national and international changes had significant impacts on an aid debate, which had important political and ethical implications. 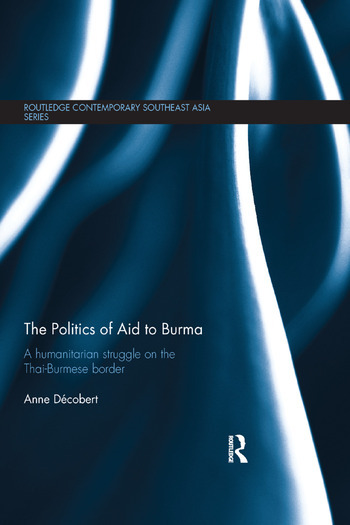 Through an ethnographic study of a cross-border aid organisation working on the Thailand-Burma border, this book focuses on the political and ethical dilemmas of "humanitarian government". It explores the ways in which aid systems come to be defined as legitimate or illegitimate, humanitarian or "un-humanitarian", in an international context that has witnessed the multiplication of often-conflicting humanitarian systems and models. It examines how an "embodied history" of violence can shape the worldviews and actions of local humanitarian actors, as well as institutions created to mitigate human suffering. It goes on to look at the complex and often-invisible webs of local organisations, international NGOs, donors, armed groups and other actors, which can develop in a cross-border and extra-legal context – a context where competing constructions of systems as legitimate or illegitimate are highlighted. Exploring the history of humanitarianism from the local aid perspective of Burma, this book will be of interest to students and scholars of Southeast Asian Studies, Anthropology of Humanitarian Aid and Development Studies.